Trouble logging in? Contact us here. about the benefits of healthier relationships. 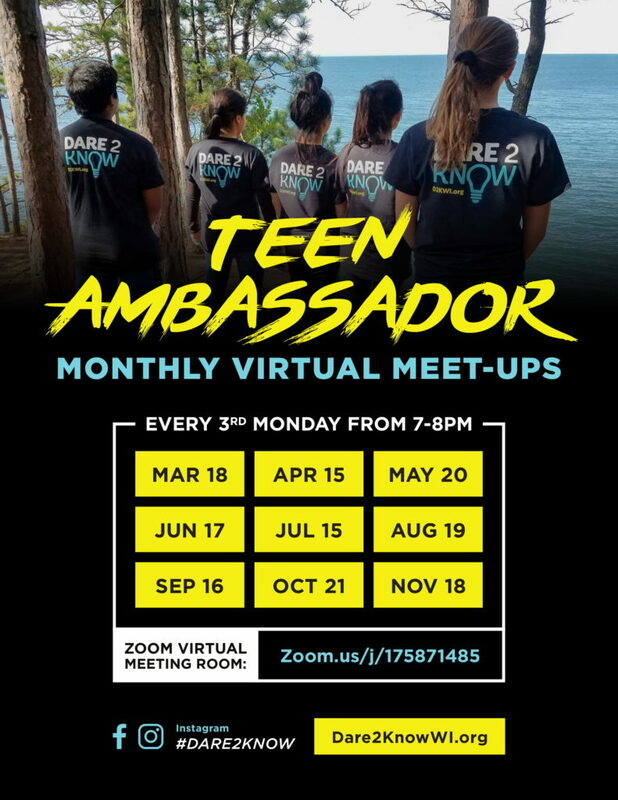 The D2K Teen Ambassador Program brings our online campaign to schools, towns and regions throughout Wisconsin. In fact, D2K is already synced with 80 local teens who can get you started. Get the tools you need to spread the D2K message. As a TAP Member, you’ll have access to all D2K resources. Things like infographics, social media filters and more – anything to get attention to the cause. Want to get your school on board? Here’s a quick letter you can personalize to do just that! It’ll highlight the importance of promoting healthy relationship programs at school.